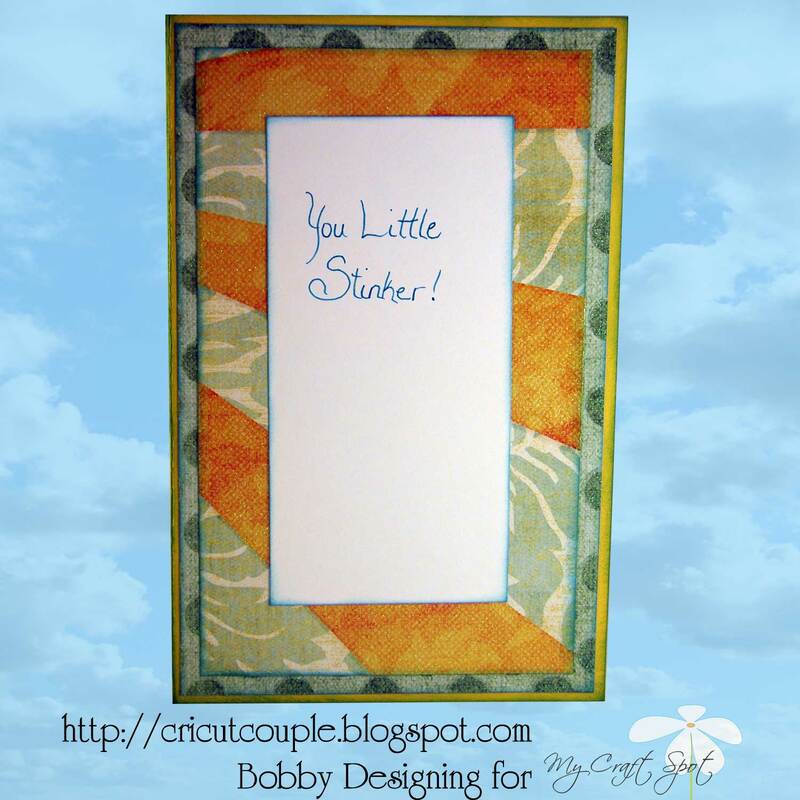 My Craft Spot: Monday Challenge #52 - Make it Pop! Hey everyone, I hope you had a wonderful weekend! It is finally starting to feel like Spring! 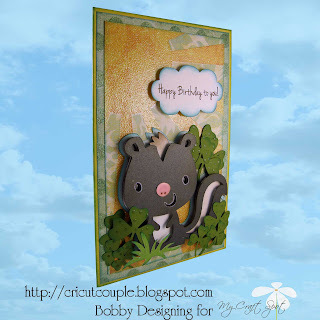 I love using dimensional adhesives to raise die cuts or layers off the card. It really makes that part of the card stand out. So . . . This weeks challenge : Make It Pop! 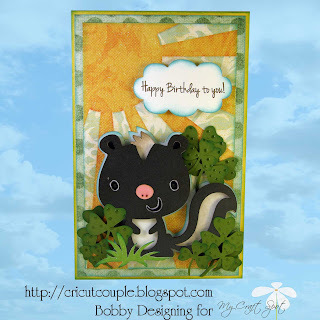 I love the greenery on Bobby's stinkin' cute card!! Having some of the greenery in the background and some raised off the card with the skunk really gives this fun card dimension. This bird is sooooo cute! I love the googly eyes and all of Kate's pen work! 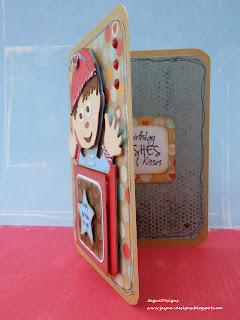 The colors and papers Kate used are so fun! 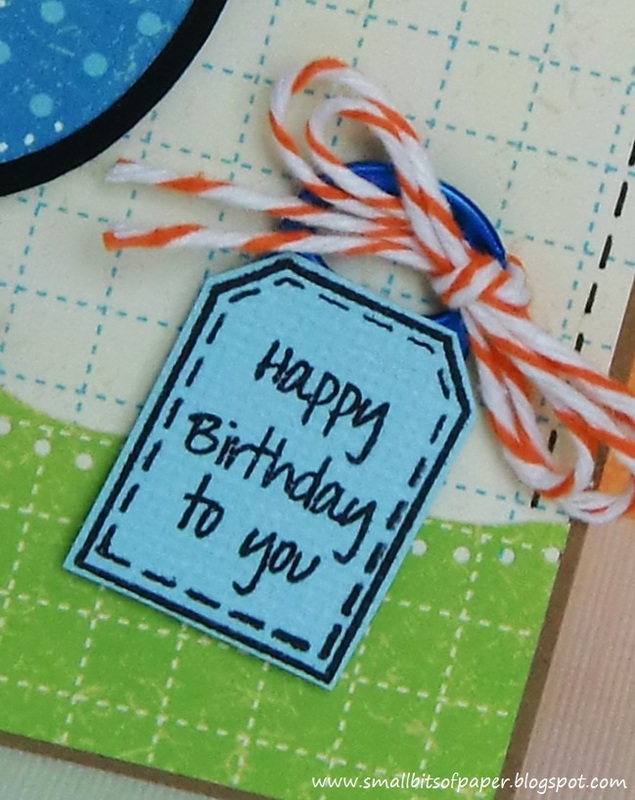 This tag and sentiment are from the Tiny Tags stamp set. Jayne's Jack-in-the-box is absolutely adorable!! Using dimensionals to 'Pop' this die cut up from the card base makes it really stand out!! 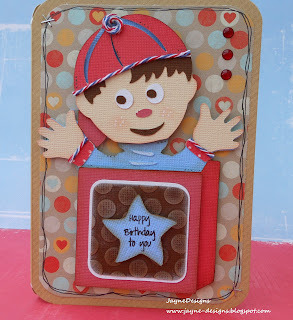 I love how Jayne used the twine to accent his hat and clothing! 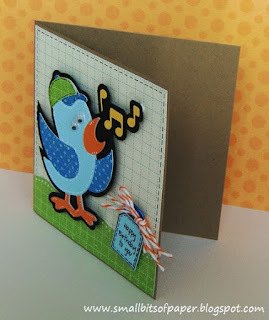 Amber's card is so pretty! I love the glittery butterflies and the beautiful bow! Using dimensionals makes these butterflies look as if they are ready to fly off the card! 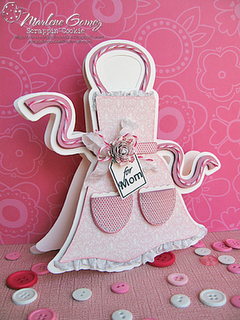 Marlene's apron shaped Mother's Day card is gorgeous! I love how she used the Bakers Twine to accent the apron! I love the white gathered Crinkle Ribbon along the bottom of the apron! 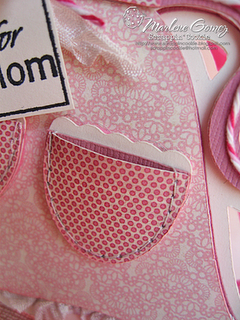 The patterned papers Marlene used are so pretty and I love how the pocket sticks out! Click HERE for my Blog Makeover Giveaway! 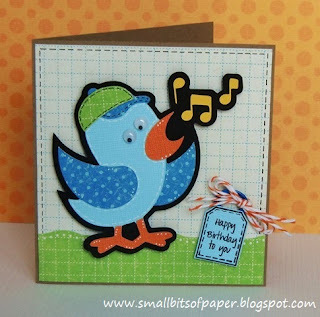 What cute wonderful DT cards! Lots of great inspiration, Thank you. I have an idea for this challenge and cant wait to get started. On another note: I just want to say thank you Kimberly for such great fast service. I ordered three stamps sets on Thursday and they were in my mailbox on Saturday. WOW! I will be ordering again from you. Fabulous creations by the DT, Kimberly. Thanks for a great challenge. I love dimensional dots. Awesome job from the DT, everyones projects are great and pop! Super DT cards! I love using dimensionals and I find myself using them all the time lately. Thanks for a great challenge! Wonderful job DT! I had a lot of fun with this challenge! 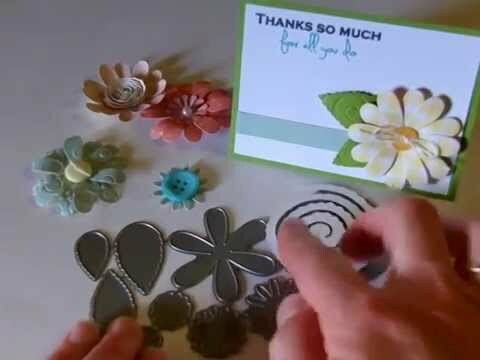 Such cute projects from the design team! Great challenge, thanks. always inspired by the dt! Thanks for such a great challenge. All the Dt projects were amazing. WOW! Awesome DT! So fantastic! Everyone did an awesome job!! I love using pop dots...so this was right up my alley hehe. Great challenge and I love the projects from the DT. Fun challenge, great inspiration projects by the DT!